Funeral services for Elva “Annette” Sharp, 85, of Edgewood, are scheduled 2:00 PM, Tuesday, March 26, 2019, at New Beginning Baptist Church in Edgewood. Burial will follow at Oak Hill Cemetery. Services are under the direction of Hiett’s LyBrand Funeral Home. 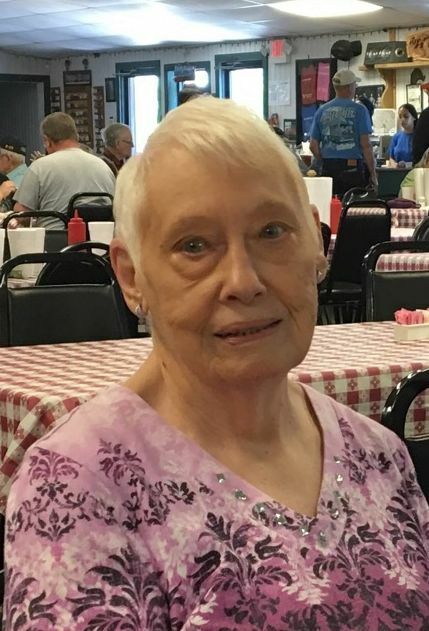 Annette passed away Friday, March 22, 2019, in Tyler, TX. Elva Annette Redd was born March 11, 1934, to parents, Luther Dewey Redd and Elva Gladys Winters Redd. She was raised in Edgewood where she graduated high school. Annette was employed by Sears making custom drapes for ten years. She married James R. Sharp on April 30, 1955 in Edgewood, and would have celebrated their sixty-fourth wedding anniversary next month. Annette was a member of New Beginning Baptist Church and was a faithful member for eighteen years. She enjoyed jigsaw puzzles and loved to piddle in the house. Annette was a loving wife, mother, grandmother and great grandmother, who cherished the time spent at holidays and get-togethers with her large family. She is preceded in death by her parents, Luther and Elva Redd and a sister, Maurine Gothard. Annette is survived by her husband, James R. Sharp of Edgewood, TX; sons, Robert Sharp and wife, Debbie of Farmers Branch, TX, Dale Sharp and wife, Linda of Paris, TX, and Randy Sharp of Edgewood, TX; daughter, Deborah Bancroft and husband, Pat of McKinney, TX; step- daughters, Cindy and Mary Ann; sisters, Glenda Stranathan, Bettie Taylor and Diane Haydon; seven grandchildren and eight great grandchildren. Visitation will be held one hour prior to service time.